Our Gardens in a box contain various and carefully selected varieties of our seed tapes. The paper seed tape acts as a blanket that regulates the temperature and moisture levels, making it the optimal environment for your seed to germinate and grow in. It also protects the seed from seed eating insects and birds. With all of this at your disposal, whether you are a first timer at the growing your own food thing or an avid gardener with green fingers, you are guaranteed success at being able to easily plant a herb or vegetable garden in 5 minutes! Our philosophy when putting together our mixes in our Gardens In a Box, is that much like people, there are vegetables and herbs that get along with each other and others that just don’t. There are also vegetables and herbs that thrive in certain climates and regions, and others that don’t. This is why we pack season and region appropriate herbs and vegetables using companion planting principles, so that you don’t have to worry about all of that. Each of our Gardens In a Box also contains companion flowers. Purchase our Reel Gardening products today! Want to choose your own mix of seed tape? 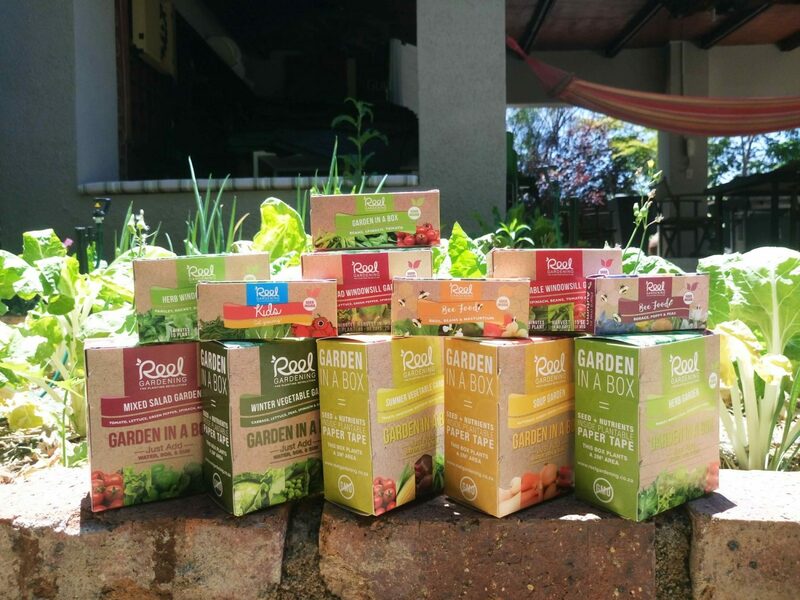 The Planting Revolution Garden In a Box is for if you’d like to customize the box with 5 vegetable or herb varieties that you’d like. These are packed to suite your region and time of planting. 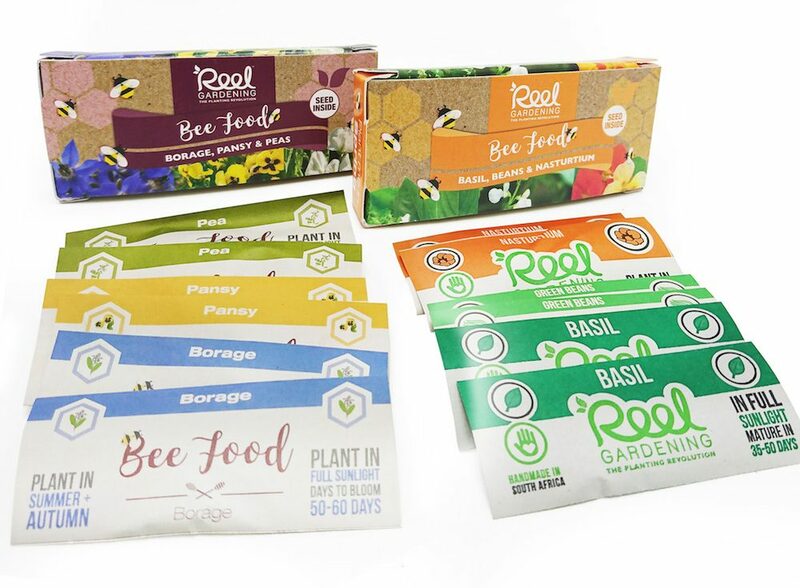 A mix of carefully selected herbs, edible flowers and vegetables that create the perfect environment for you to be able to attract bees to your garden. 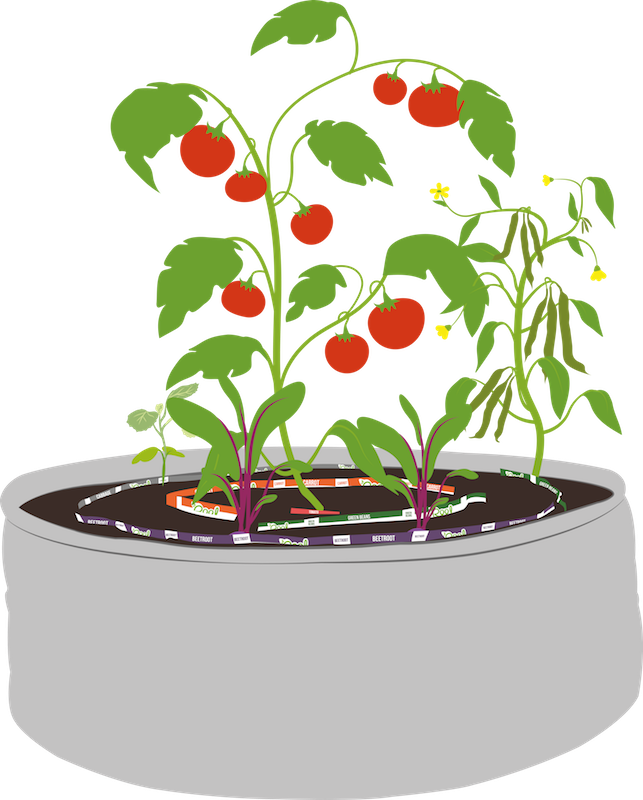 You Don’t Have The Space Or Your Soil Is too Poor For You to Start Growing A Veggie Garden? 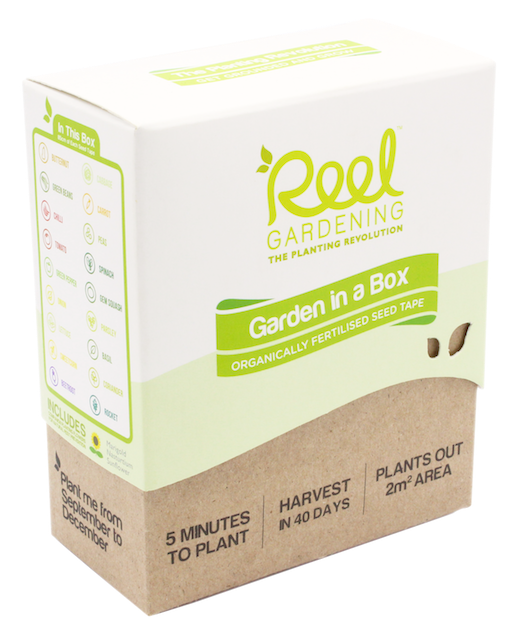 Growing your own herbs and vegetables should be reely easy, that is why Reel gardening takes into consideration that there are people that do not have good quality soil, or the space to plant in. 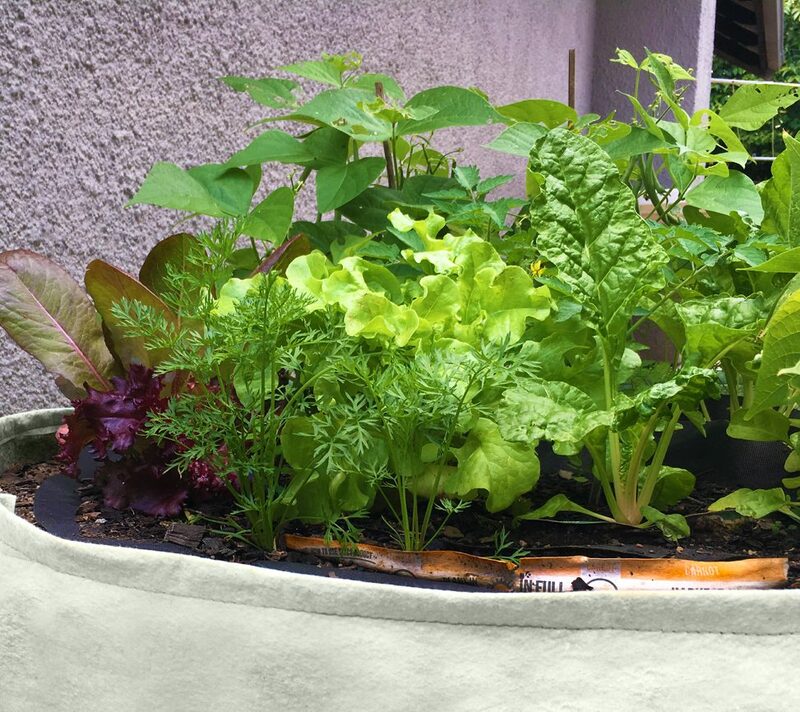 That is why we introduced the Grow Pod-Made from UV treated plastic, it is the perfect solution for people who would love to get a herb or vegetable garden going but do not have the space or have poor soil in their gardens. 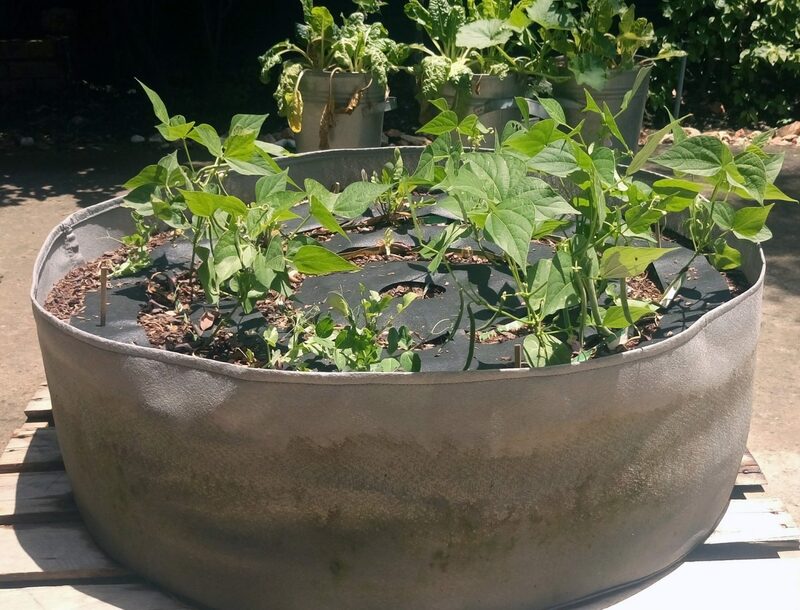 It is great at retaining moisture so that you do not have to water it a lot and comes with a weed guard, that acts as mulch that prevents weeds from emerging and competing with your vegetables for water, space and nutrients. Complete kit to get children learning through growing their own garden. Our School Workbook CAPS-Aligned Worksheets and Lesson Plans for Incorporating a School Vegetable Garden into the Curriculum. The Learn & Grow Kit has been designed to be used by teachers or parents with children. It is our hope that this system will help instil some of the magic and fun into the growing process and encourage the next generation to start gardens of their own. 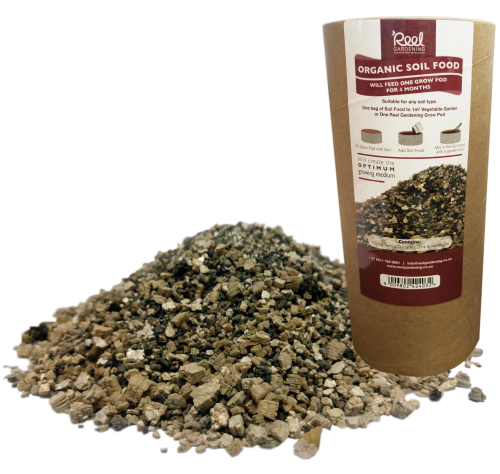 You can add our Organic Soil Food to any soil to create the optimum growing medium. A simple guide with information on how to care for and maintain your vegetable and herb garden. 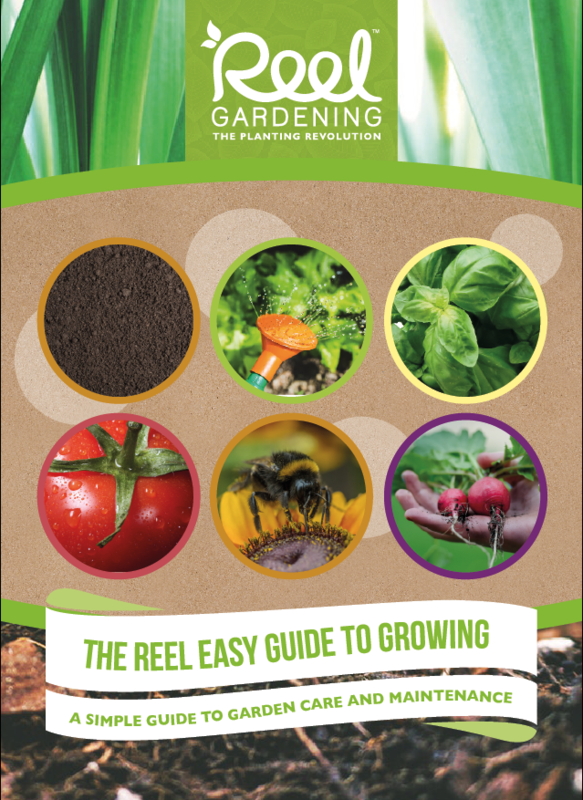 This guide has easy to follow instructions and illustrations making it a must have for anyone trying to start their own garden. 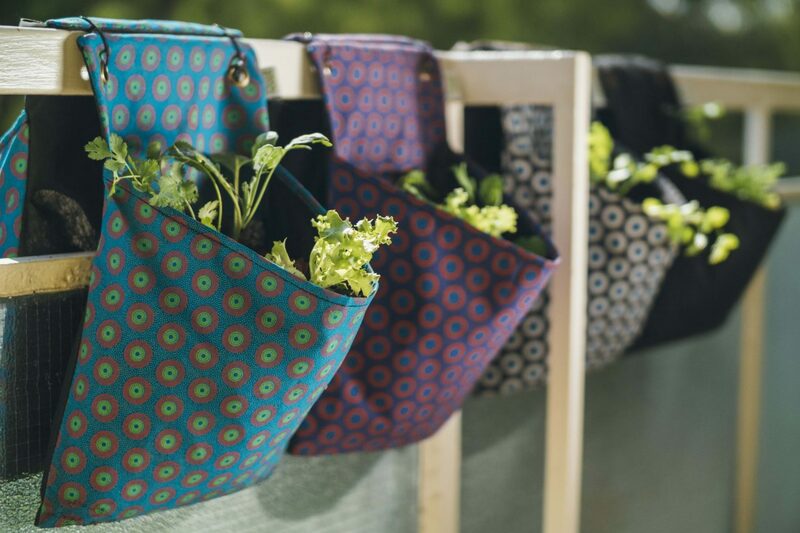 We have been asked by more and more people here in Johannesburg for a simple solution to urban gardening and so we decided to design a simple, fun, African inspired planting kit that enables anyone to grow their own herbs or vegetables anywhere. Be it on a bacony railing, a sunny wall or windowsill. Our kits are made in a traditional South African fabric called ShweShwe. This fabric is usually reserved to make dresses and headwear for special occasions. We believe that a starting a food garden is a special occasion and your garden should be something beautiful in your home which takes centre stage and becomes a feature and not an eyesore. We also believe that growing your own food should be really simple and easy and that you should only have to spend a maximum of 5 minutes a day caring for it.